Bee on yellow dandelion. 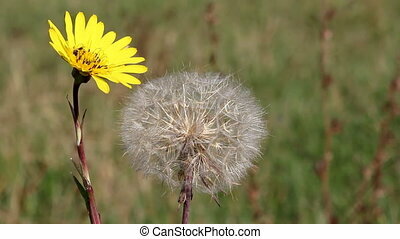 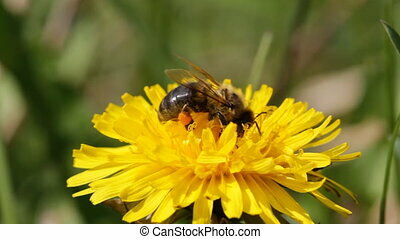 Bee collects pollen on a dandelion. 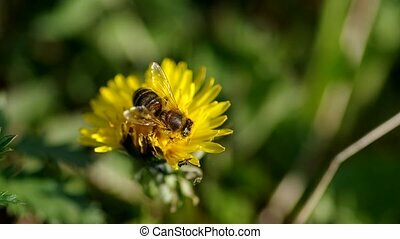 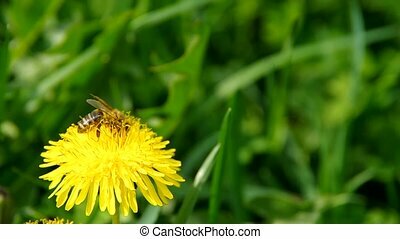 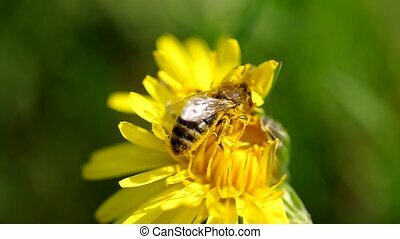 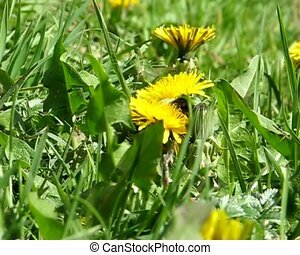 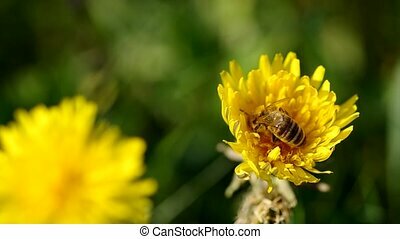 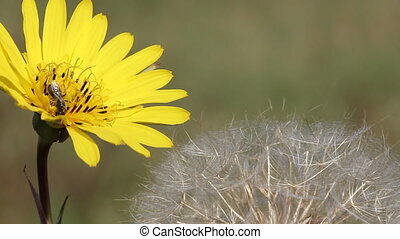 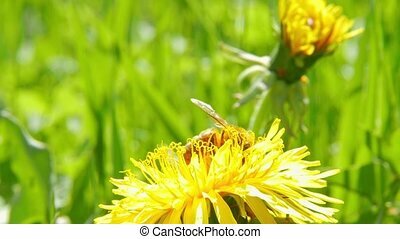 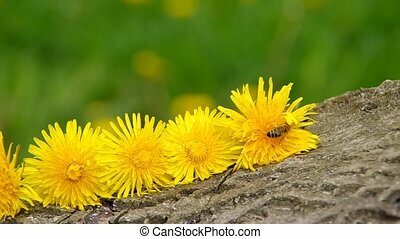 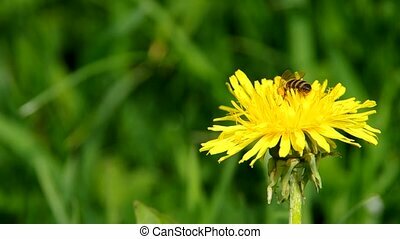 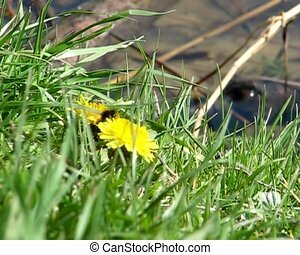 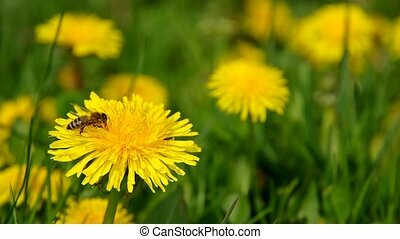 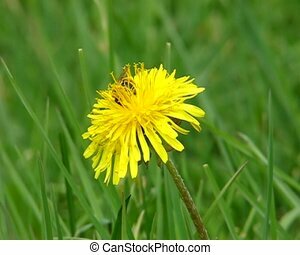 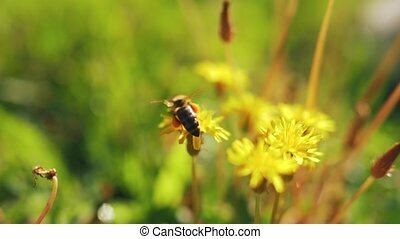 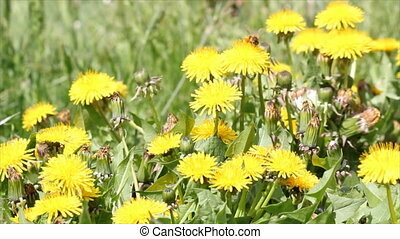 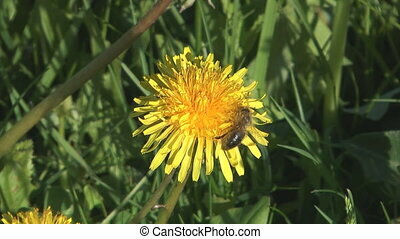 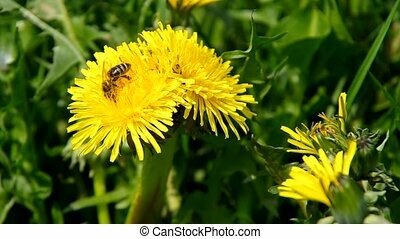 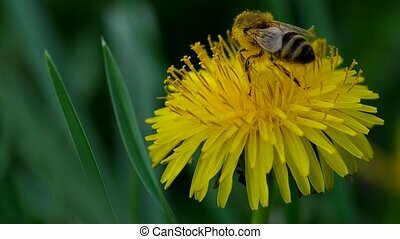 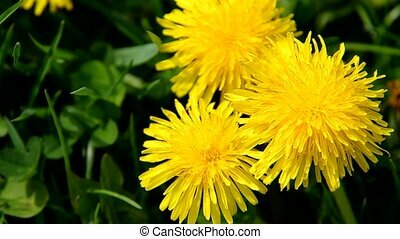 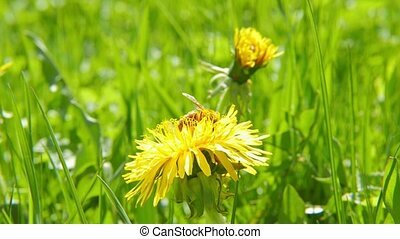 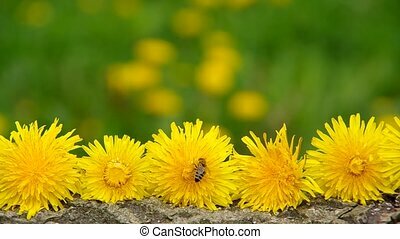 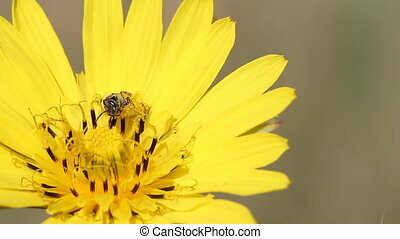 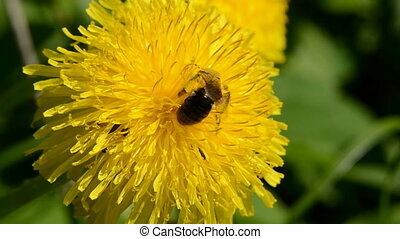 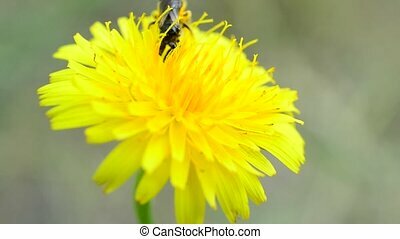 Close up shot of bee on a flower of dandelion. 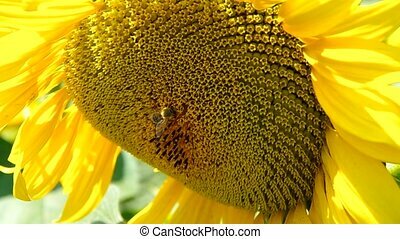 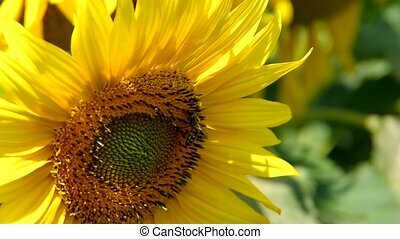 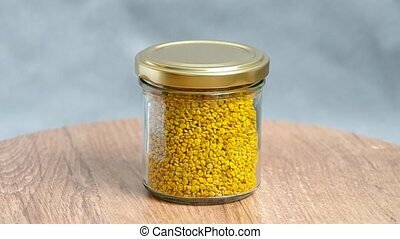 Yellow bee pollen in glass are rotated on the table.